Middle Tennessee (2-3, 1-0 C-USA) hosted Vanderbilt (2-3, 0-2 SEC) Saturday in the annual Homecoming game. 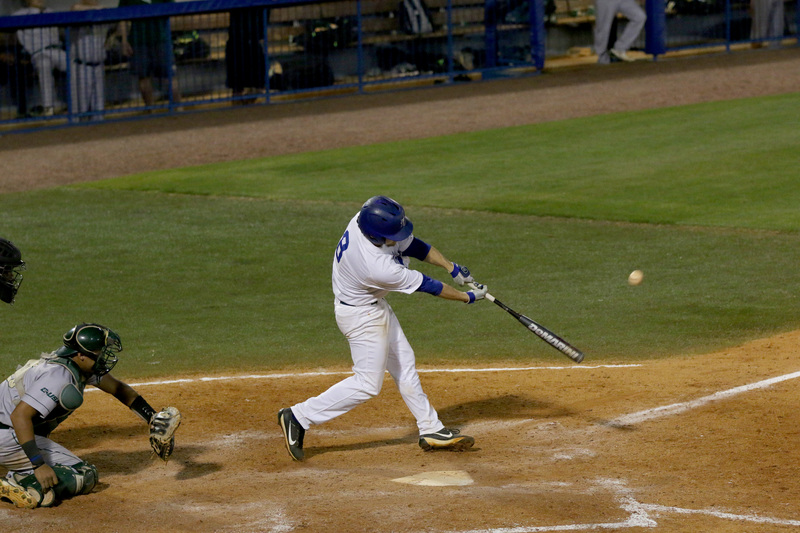 The game was the Blue Raiders third and final non-conference game of the season. The Blue Raiders controlled Vanderbilt for most of Saturdays’ contest, leading for the better half of three quarters before ultimately falling in the final two minutes, 17-13. On their opening possession, the Blue Raider offense came out strong, with big plays from quarterback Brent Stockstill and standout freshman receiver Richie James. The two have been in sync the past few weeks, and connected early in the game on a 24-yard pass that set up the Blue Raiders in Vanderbilt territory. The offense kept up momentum on the drive, but ultimately stalled at the 27, forcing kicker Cody Clark, to attempt a career-long 44 yard field goal. Clark, who missed wide-left in last week’s Illinois game with a chance to win, was searching for consistency. The redshirt junior split the uprights, putting the Blue Raiders up early, 3-0. Vanderbilt had an impressive first drive of their own, as they went 59 yards in 11 plays, but Tommy Openshaw missed a 39-yard field goal wide left with a chance to tie the game. After multiple stalled drives by both teams, the Commodore offense finally made headway, moving down the field thanks to running back Ralph Webb and mobile quarterback Johnny McCrary. After failing to convert on a third down deep in Middle Tennessee territory, Openshaw finally converted on his second attempt, tying the game at 3 apiece. The Blue Raider defense continued to stand out, making plays that ultimately stopped solid drives by the Commodores. Alex Dale, a junior with the team, intercepted the Vanderbilt starter late in the first half, his first of his career. The Blue Raiders would force two more fumbles in the first half, but would only capitalize once, putting an extra three points on the board, leading 6-3 as the teams headed into the locker rooms. Minters’ fumble recovery in the late stages of the first half secured the lead for the Blue Raiders at the break. The Commodores started the second half strong, moving down the field quickly, gaining rhythm on the ground. Forcing the sophomore quarterback out of the pocket became the story in the third quarter, as the defense continually made McCrary move. Kevin Byard made the play deep in Blue Raider territory, intercepting McCrary, his 17th of his career and tying James Griffith for the school record. Late in the third quarter, the Blue Raider offense seemed to be finding more rhythm, and once again found themselves deep in Vanderbilt territory. A bad lateral left the Blue Raiders in no-man’s land, and the Commodores recovered, another mistake that took points off the table for the offense. Senior Ed’Marques Batties had another stellar outing Saturday, with most of his play coming in the second half. The Fresno native finished with ten catches for 82 yards, and a touchdown. Stockstill broke the touchdown-less game by finding Batties for an 18-yard strike in-between two defenders, giving the Blue Raiders a 13-3 lead over the Commodores . “It hurts man. This one cut a little deeper. That’s two heartbreaks in a row,” said Blue Raiders wide receiver Ed Batties. The Commodores were down but not out, and the offense kept churning, looking for any means of finding the end-zone. The key for Vanderbilt was the duo of McCrary and Webb. McCrary found the seam up the middle with just over six minutes left in the game, scrambling for a 29-yard touchdown to cut the lead to 13-10. The Vanderbilt defense has been stout all season, holding their first four opponents to season lows. As a unit, they stepped up again, forcing the Blue Raiders to punt with just over four minutes left, opening the door. McCrary and Webb continued to shoulder the load offensively, moving the ball down the field with ease in the last few minutes. With just over a minute left on the clock, Webb took the handoff just inside the Middle Tennessee 40 and didn’t look back, scoring the decisive touchdown to put the Commodores up 17-13 with 1:12 left. The Blue Raiders couldn’t put together one last drive to win the game, with Stockstills’ throw on 4th down falling incomplete. The loss was the second straight for Middle Tennessee, and put them at 2-3 heading into the remaining conference schedule. “I told them I was proud of them. To go through what we’ve gone through these past two weeks, [you] gotta be resilient,” said coach Rick Stockstill after the team’s tough loss. “We’ve had a tough schedule. 2 SEC’s and a BIG Ten. We gotta stay the course, focus, and lock in on WKU. Middle Tennessee prepares this week, before heading to Bowling Green next weekend to take on rival Western Kentucky. Kickoff is set for 11 a.m.